adidas Originals Ewing Hoodie In White, A large hood featuring drawstrings with a ribbed waistband and ribbed cuffs on the long sleeves. An all over lined design in navy and orange on the front and on the reverse. A large kangaroo style pouch pocket onh the waist with an embroidered signature Adidas Trefoil logo sitauted on the front of the chest in orange. The embroidered signature Adidas logo and Trefoil logo is situated on the reverse in navy with a soft fleece interior. 100% Cotton. 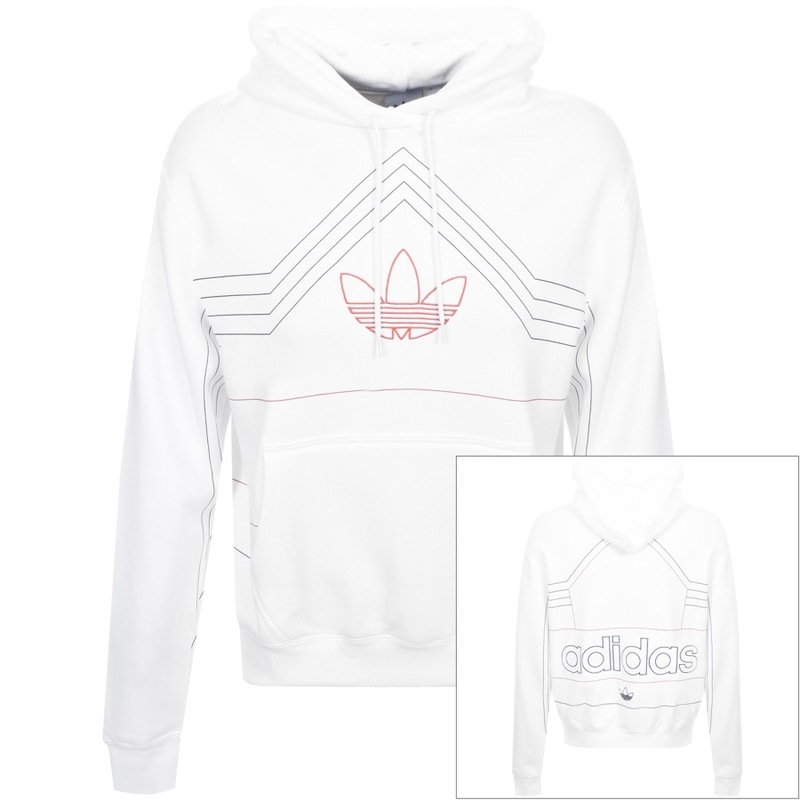 Part Of The Huge Range Of Adidas Track Tops Jumpers And Hoodies Live Online.